The UK could generate more than 80% of its electricity from wind, solar and tidal power within 15 years and keep the lights on – thanks to advances in storage and smart technology and falls in the costs of renewables – according to a new detailed study. The analysis comes as experts and politicians remain divided over how and whether the UK can cut its emissions, following the example of countries like Sweden and Denmark. The UK government is keen to put its efforts into large-scale projects such as the Hinkley Point C nuclear plant. In the opposite corner, the chief executive of the UK’s National Grid recently said in an interview that “the idea of large power stations is outdated” with advances in decentralized energy such as roof-top solar. The study went into amazing detail. It’s authors used hourly weather data for 11 years and modeled how national demand could be met, down to the household level, if the UK were relying on renewables – chiefly wind, solar, and tidal power – for more than 80% of its electricity. To make things even more complex the study also assumes we use electricity not just for traditional purposes, but also for transport and heat – as more people begin to drive electric cars and use electricity instead of gas to heat their homes. The DEE study did not include a full technical cost modelling exercise – partly because the cost of renewable energy keeps changing. A comparison of the scenario in the study with a “high renewables scenario” done by energy analysts Poyry for the government’s independent climate advisors, the Climate Change Committee, indicates that the costs would be comparable. 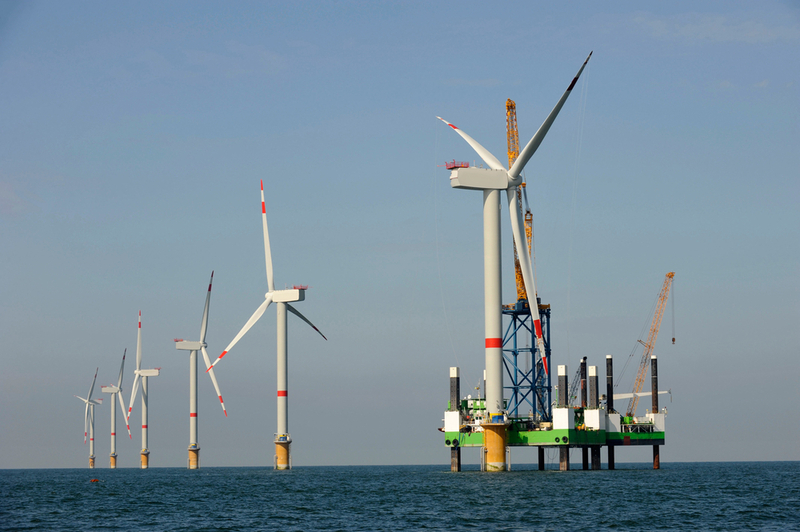 The rapidly falling cost of onshore wind, solar and offshore wind – along with the high cost of alternatives such as nuclear and clean coal – mean that the costs of different energy mixes are likely to be similar. Cutting emissions isn’t just about reducing the amount of coal and gas burnt to produce electricity – it’s also about reducing the amount of gas used to heat our homes and petrol to power our cars. But that doesn’t just mean more insulation, it also means a gradual switch towards electric heating through heat pumps and underfloor heating. It also means a shift towards electric cars. That may lead to warm feet and quiet journeys but the problem is it means we will need more electricity, particularly at peak demand times. This is why the report suggests demand for energy to heat our homes needs to fall by more than half over the next 15 years through a revolution in home insulation measure, saving people lots of money. That fall in home heat demand would allow technology like heat pumps to provide a quarter of our heating, but rolling out this technology at that scale in the next 15 years would be challenging. The government’s own scenarios suggest that this fall could happen – but only by 2050 – suggesting this couldn’t be implemented without a pretty radical change in tack. Ironically if that didn’t happen it would make it easier to power the UK with renewables, but it would also mean emissions would be higher. Given the current state of government policy many now view this outcome as more realistic. The report’s targets for onshore renewables are actually fairly modest. It suggests a 47% increase from the number of onshore wind turbines that were built or approved for building at the end of 2014; and a target for solar panels only a bit larger than one once put forward by a Conservative minister (before they went off the idea). When it comes to oceans, though, it’s ambitious. Most of our power capacity, 55GW, would be in offshore wind farms located around the UK, building more than twice as much as currently exists or consented. This would amount to a world-leading revolution in technology and would be roughly in line with the “high renewables” estimates from the government’s climate advisers. In order to reduce the UK’s reliance on imports from other countries the report still uses some gas backup. But conventional gas plants create a lot of heat, which is partially lost. The report suggests rolling out a fleet of new gas plants which would combine power generation with industrial or district heating. They would sometimes operate alongside pumped-storage facilities – where water is pumped up-hill when there is too much power and allowed to flow down when there’s too little –to help provide backup if the weather doesn’t deliver all we need. Conventional plants would remain on the system, but would be barely used, running just 2.1% of the time. One big difference between this study and others before it is that it takes account of future changes in technology which – put simply – means we can use less kit to power the same number of homes. Most or all of the technology already exists but hasn’t been deployed much. In particular the study looks at how smart meters, batteries and demand-side management can be used to reduce the need for extra gas power stations at key moments (remember that hourly weather monitoring?). That means, for example, smart fridges which would turn down slightly during a dark, still winter’s evening, or perhaps when everyone turns on the kettle at half time during the football. Or home or grid-scale batteries which could store excess renewable energy ready to be used if the wind stops blowing. This is all much cheaper and more efficient than building whole new power plants just to meet extra demand during these relatively short peak periods. Essentially, what this report shows with unprecedented accuracy is that, contrary to popular belief, renewables can keep the lights on.